‘As we approach the midway point in his presidency, President Trump continues to face harsh rhetoric from the left and the media, particularly regarding women. But despite two years of constant criticism, the reality of the situation is that Trump has positioned women throughout his administration in historic capacities to make key decisions.’ In any other time, a presidential administration would be supported for placing strong women in these key roles, but this is the age of Trump. The start of the new year ended Nikki Haley’s tenure as Ambassador to the United Nations. Haley was one of President Trump’s most valuable assets in his administration, and she blossomed into a political rock star in her own right. Now, former State Department spokeswoman Heather Nauert is poised to take over the role left vacant by Haley’s departure. Reports indicate the position will be moved to sub-Cabinet level once Nauert takes over. There have already been six women to serve in President Trump’s cabinet in his first two years. Remaining in the president’s Cabinet are Secretary of Transportation Elaine Chao, Secretary of Education Betsy DeVos, Administrator of the Small Business Administration Linda McMahon, CIA Director Gina Haspel, and Secretary of Homeland Security Kirstjen Nielsen. By comparison, in President Obama’s eight years in office, there were only eight women total who served in the Cabinet – the most of any administration in history. President Trump will have the potential to pass President Obama’s record in just his first term in office. Of course, while media coverage praised President Obama for the diversity and number of females in his cabinet, President Trump is not afforded that same positive coverage. In her current role as State Department spokeswoman, Heather Nauert is not alone as a voice of the Trump Administration. Until the recent departure of Pentagon spokeswoman Dana Young, the White House, Pentagon, Department of Justice, and Department of State all simultaneously had a female spokesperson for the first time in history. Yet, outside conservative media, this was largely ignored. Even a White House communications team headed by women has not been enough to change the narrative. Sarah Sanders is the first working mother to ever serve in the role of White House press secretary. Instead of cheering that accomplishment, she has provoked nothing but ire and harassment from those claiming to be the largest champions of women’s causes. 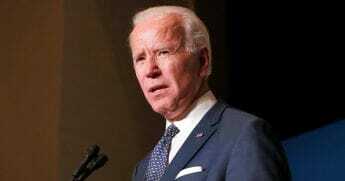 Sanders is joined on the communications team by Jessica Ditto, the White House Deputy Director for Communications, Mercedes Schlapp, the White House Director of Strategic Communications and Lindsay Walters, who is currently serving as a Deputy Press Secretary. Schlapp is a frequent surrogate in the media for the Trump Administration, along with Counselor to the President and the first female to ever successfully run a presidential campaign, Kellyanne Conway. Both women are seen as two of President Trump’s strongest advocates in the media. One of the most significant accomplishments of President Trump’s time in office will be massive deregulation, which has played a large role in the widespread success of American businesses and the American economy. Central to this regulatory reform has been the efforts of Neomi Rao, an Indian-American, who has served as the Administrator of the Office of Information and Regulatory Affairs. However, Rao may not hold that post much longer. She was nominated in November by Trump to fill the vacancy left by Justice Brett Kavanaugh on the all-important D.C. Circuit of the Federal Appeals Court. Do you think women are influential in the Trump Administration? President Trump also has a woman leading one of our nation’s most important services. Seema Verma has served as the Administrator of the Centers for Medicare and Medicaid Services since March of 2017. In that role, Verma oversees a budget eclipsing $1 trillion, or 26% of the total federal budget. Additionally, President Trump appointed Hispanic-American Jovita Carranza to serve as the Treasurer of the United States. On top of powerful women in policy and communications roles, women also have played a large role in keeping our nation safe in the Trump Administration. Shortly after assuming office, President Trump nominated Dr. Heath Wilson to serve as Secretary of the Air Force. Further, Col. Lorna Mahlock, the first female to serve as Marine Corps CIO, was nominated by President Trump to become first ever African-American woman brigadier general in the United States Marine Corps. After spending over 30 years with the CIA, Gina Haspel was nominated by Trump to serve as the agency’s new director following Mike Pompeo’s move to Secretary of State. Haspel is now the first female to ever be confirmed as the Director of the CIA. What’s more, with the recent appointment of Cynthia “Didi” Rapp to the position of deputy director for analysis, Haspel has appointed women to the three top directorate positions within the CIA, also reportedly for the first time in history. In addition to Haspel at the CIA, Kirstjen Nielsen has been in charge of the Department of Homeland Security for over a year after John Kelly moved from that position to serve as President Trump’s Chief of Staff. With President Trump’s focus on securing our border, Nielsen has played a central part in keeping Americans safe and executing some of the President’s most critical policies. 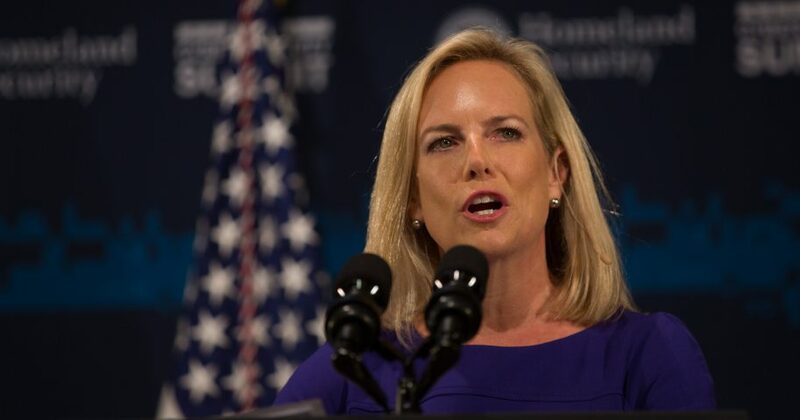 With the current government shutdown over border funding, Nielsen and her department have been in the spotlight as much as any Trump Administration official, and she has shown herself time and again to be a sharp, strong leader at DHS. Then, of course, there are two of President Trump’s closest advisors – his wife Melania and daughter Ivanka. Melania is a former model and fluent in 5 languages. With any other President, Melania would be celebrated as a female icon, but sadly that is not the case. Criticism of members of the first family is usually only relegated to the fringe on either side, but Melania has been a regular recipient of criticism and hatred from even mainstream media. Ivanka has been a staple in the Administration from its first days and has produced results many deemed not possible. Not only was Ivanka instrumental in getting the GOP tax bill passed, but she played a large role in the provision to expand child tax credits, something universally cheered. She also was essential to the prison reform bill recently signed into law. While flexing her policy chops, Ivanka has still found the time to be an advocate for women in areas like STEM and economic development. She has been nothing short of an exemplary role model for women everywhere, but instead of praise, she has been on the receiving end of harsh vitriol, boycotts and cruel rhetoric. Recent history would indicate that under any other administration, having women serving in these roles would be championed. We would see many of these women receiving honorary awards and news features promoting their successes in the media – they would be shining examples of successful women in power for young females to emulate. Alas, the hatred the media and the left have for President Trump blinds them – and deprives us – of what otherwise would be role models we could all rally around and be proud of. Covering the influential women in President Trump’s administration does not fit the sexist, misogynistic narrative about President Trump that the liberal media has spent so much time invested in. Instead of covering the accomplishments of these women, the media spends hours on end regurgitating the same tired, unoriginal Russian collusion theories that inevitably get disproven time and again. Regardless, these powerful women will remain pillars within the Trump Administration and continue paving the way for young women in the future. Evan Berryhill (Twitter: @EvBerryhill) is a former communications staffer for Rep. David B. McKinley. Currently, Evan is a law student at West Virginia University and works as an opinion writer and political commentator.